The Scheduling module provides a tool for test organizational management to create and validate schedules for all aspects of new Test Requests and to track existing Schedules and provide access for stakeholders. It can be used to manage and assign equipment, test cells, fixtures, UUT's, Technicians and Engineers, and other resources necessary for test completion. It initiates the work order activities for test set-up as well. The Test Schedule. 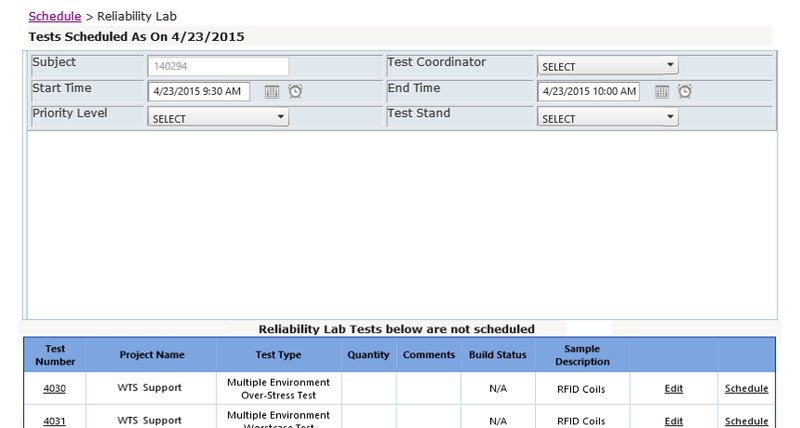 The advanced scheduling Module of Test/Valet is actually a set of sub-modules for different portions of the Test Lab. Scheduling includes the scheduling of test cells (or test systems ), fixtures, Transducers, Technicians or other resources used in the normal day-to-day activities of a lab. It also covers the development and tracking of a baseline design activity for creating a new test system or modifying an existing test set. Requesting stakeholders are authorized to use this module in various permission levels. By default requestors will have permission to view current schedules. The Scheduling module presents information that is known along with new schedule requests and helps the responsible person create a workable and optimal plan. The scheduling module offers visibility at various levels which helps identify potential issues and improve overall resource utilization and also reports impact on existing schedules should an occurrence of an anomaly happen in a test cell. The Scheduler also performs checks to make sure that calibration and maintenance for transducer or data acquisition device are valid and notifies the scheduler in advance of conflicts expected during the course of a lengthy test (for example an EMI chamber or Dyno Cell which might run a test for two weeks). 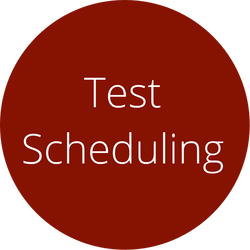 Simpler scheduling modules are also available for certain implementations which serve to prioritize tests for the test facility. © 2019 V I ENGINEERING, INC. All rights reserved.